Welcome to the last post in a series about my knitwear design process. Today, I’ll be talking about swatching. If you haven’t read the previous posts about where I find inspiration and using my sketchbook, you might be lost on future reading. 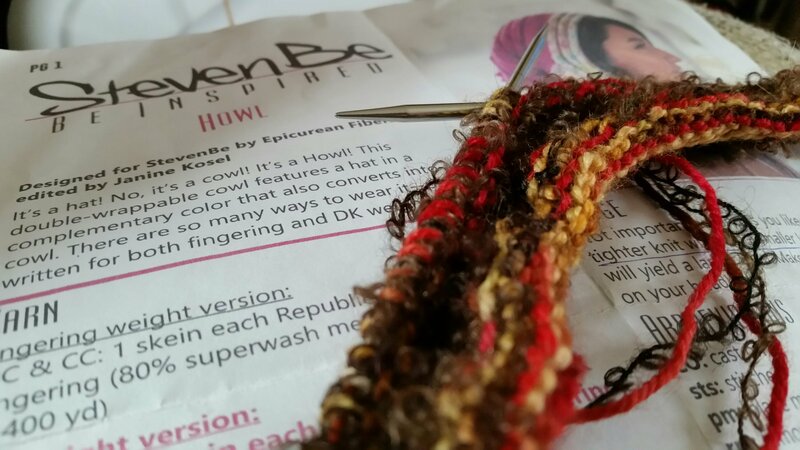 Continue reading Design Process: Swatchin’ It! Posted on December 21, 2017 Categories Knitwear Design, UncategorizedLeave a comment on Design Process: Swatchin’ It! Designing for the new year has begun, so I’m going to talk about my design process. Like many artist processes, it’s not plug and play. The first three steps in my process are finding inspiration, sketching, and swatching. This felted duffel bag can carry your yoga mat to your next session. It’s constructed to fit the most basic mat, advanced users with heavier mats can easily adapt this pattern by adding length.